These are very crude flash games I wrote for prototyping minigames for Pioneers Online. A small postmortem can be found on That's A Terrible Idea here. Following Raph Koster's Games are Math theory, I designed several games using NP-Complete problems. Instructions: Click on the blue squares to select that node. All connected green lines change to red. Objective is to select the minimum number of squares (indicated in the upper left) while turning all the lines to red. Instructions: Click the arrow buttons to slide the respective row of numbers left or right. 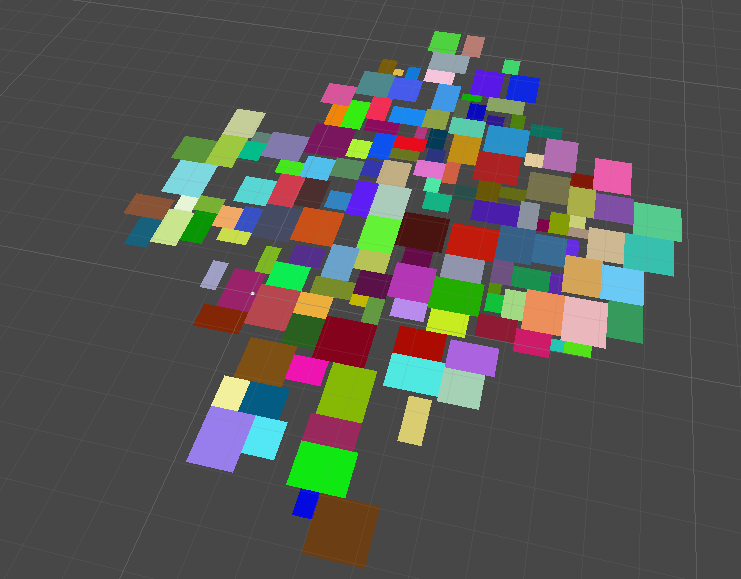 Objective is to place exactly 1 instance of every available color/number inside the black box. The flash object features tweaking parameters in the lower right. Note that inputting invalid combinations of options will result in no game being created. There are at most 16 distinct colors. This game is mathematically equivalent to Sudoku. After watching family and friends play without any instructions other than the text in the game, I discovered that player initially try to slide the black box rather than the rows of numbers. Using math as another source of inspiration, I cloned the classic board game MasterMind. The rules can be somewhat confusing if kept short, and I made a point to clarify that the location of clue symbols does not relate to the position of the guess symbols. First time players are often fooled by the Code since they incorrectly assume that duplicates are not allowed. The following rely primarily on pattern matching. The goal was to design quicker games that did not use methodical thinking, but rather timing or visual elements to stimulate the brain's pattern recognition. This game resembles power meters in golf or strength test games (hence the name). But instead of placing just one bar, I decided to try out several in succession. Unlike the math-based game above, there are no clear win and lose states, rather a spectrum of states. I added a score as an afterthought to judge how close the player came to full strength, and I was surprised at the reactions of players. StrongMan was by far the most popular game prototype I showed to family and friends. Not only is it quick and mindless, but that score created emergent competition which I was not expecting. Family members passed my laptop around for 30 mins trying to beat each others' scores. It was very exciting to watch. This game is on hold and incomplete as it is too difficult in its current state. Directions: At random intervals between 0.5 and 2 seconds, a box will be highlighted purple. Press the arrow key that is the same direction as the box. E.g. if the southern box is indicated, press the Down arrow. Note that you must click on the Flash object at least once to give it focus in the browser (so key presses are sent to the Flash object). If you press an incorrect key, all the bars will drain. If you press nothing when a box is lit, all the bars will drain. If you press an arrow key when no boxes are lit, then all the bars will drain. Objective is to fill all 4 boxes. Inspired by FFXI's fishing system, I took it several steps further (adding more inputs, points of failure, and bars to fill). The boxes change randomly and human reaction time is too slow to adjust to the rapid and unexpected changes. Some solutions would be to make the highlight transitions predictable. For example, they would progress counter clockwise, but still at random intervals. I also thought about filling a single, collective bar (like in FFXI), but still keep the 4 inputs. This is a simple word search, except the alphabet is numbers, not roman characters, and the language is every string of n length, rather than English (or some other natural language). While many people seem to like it, NumberSearch didn't achieve what I wanted. I wanted seek times to be faster (to reflect the goal of quick and mindless). Tweaks such as reducing the grid size and alphabet size work to some degree, but I am still unsatisfied. Another solution I thought of was to remove the diagonal and backwards possibilities. So just left-to-right and top-to-bottom, mirroring how English is read. 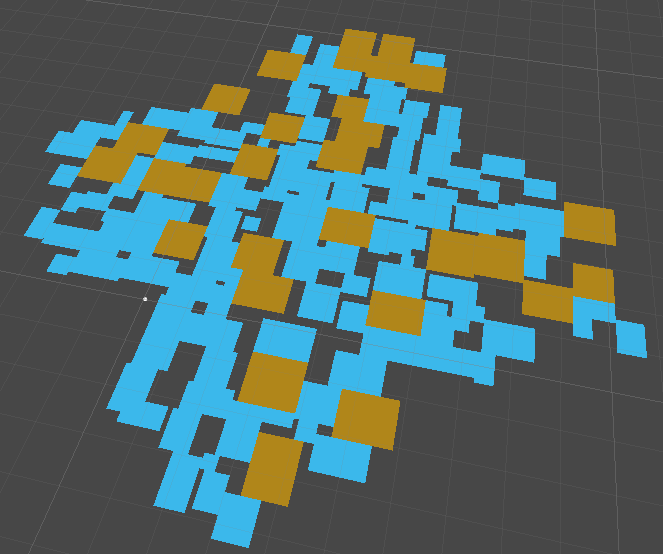 These are some crude pictures from some tinkering with procedural generated rooms/dungeon in Unity3D. More.